Today's blog post is just a quick one. 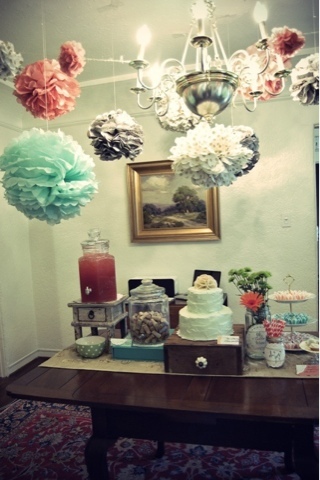 I've been looking at Pom Poms on Pinterest to find some new project ideas. 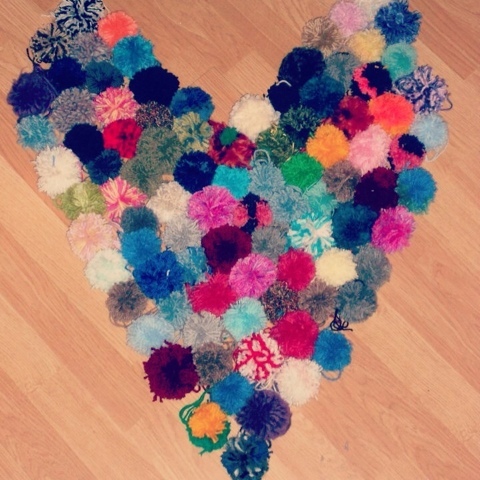 I've not made Pom poms in a while but a few years back I took part in some yarn bombing. Here are some I've made before. 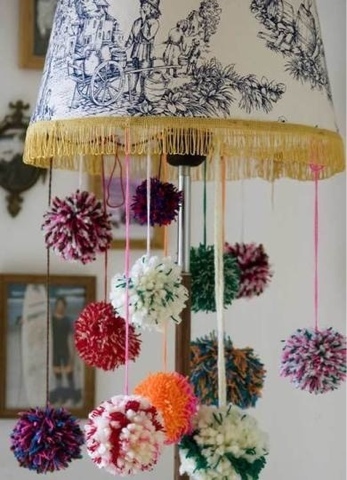 Pom poms are quite quick to make and is a great way of using up old scraps of wool. 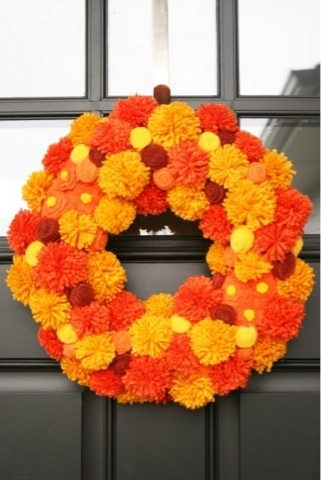 I'm loving some of these Pom Pom ideas I've found on Pinterest and may even need to try a few! 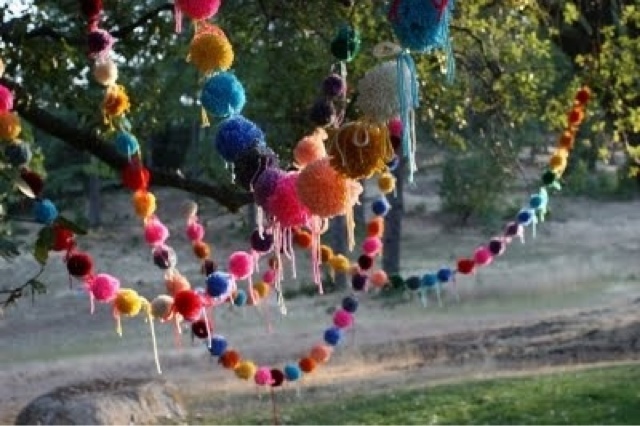 So it's time to dig out the cardboard, get cutting and make some pom poms!! Very simple yet very effective!! 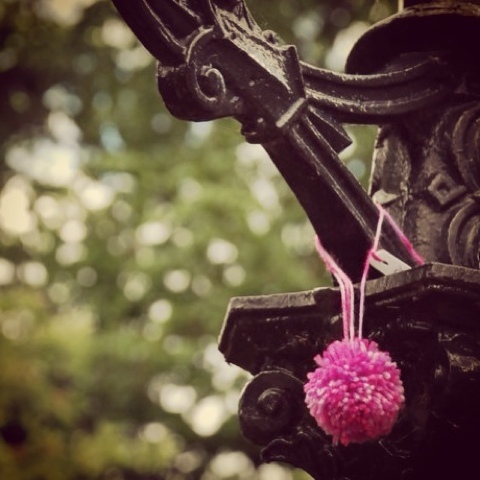 OK I'm a little freaked out right now - I dreamt about pom poms last night (No idea why - the last time I made pom poms must have been over 30 years ago)and then here's your post today! they are so cute!! 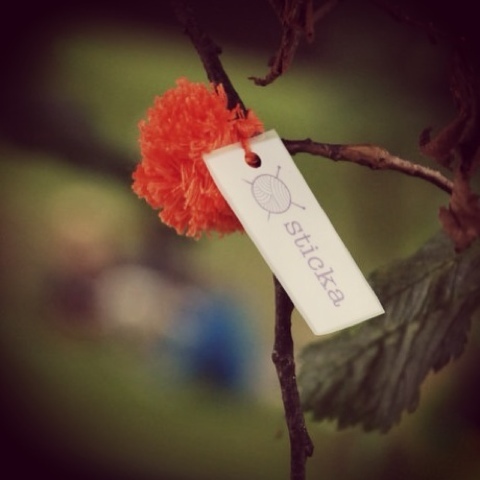 What a great promotional tool too! !